Cards are the latest merchandise from the nonprofit that first used sunflowers to represent the rare cancer. They will be sold this month at an Austin fundraiser. 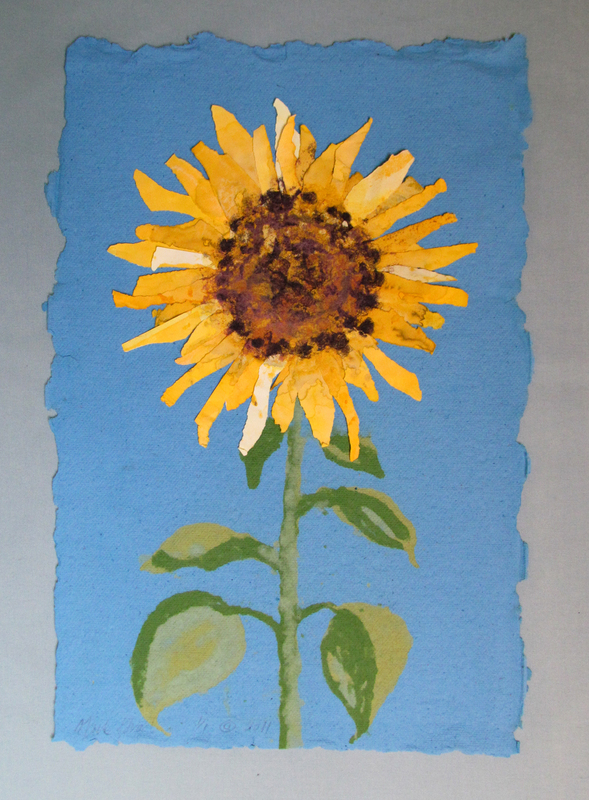 Austin artist Mark Goad has made cards from his artwork to benefit the Sarcoma Alliance. No one needs to go through this alone. Artist [Mark Goad and Rio’s Brazilian Café are helping the Sarcoma Alliance raise awareness with a fundraiser March 23, says board member Suzie Siegel. This month, the cafe is exhibiting art by Goad, who has been a professional artist for more than 30 years. 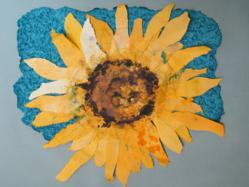 He created work depicting sunflowers and photographed them for cards that will be sold to benefit the Alliance. The Alliance was the first to use sunflowers as a symbol of hope for people with the rare cancer, says board member Kevin Plottner of Alameda, Calif., a graphic designer who made the national nonprofit's original logo to honor his wife Wendy Sommers, who loved sunflowers. Siegel will sell the sunflower cards and other merchandise March 22-23 at Rio's. The East Austin café close to downtown will have a happy hour from 4 to 7 p.m. that Friday, featuring free appetizers, $1 off all beer and wine, and free caipirinhas, Brazil’s national cocktail. Elias Martins, a native of Rio de Janeiro, is the chef. 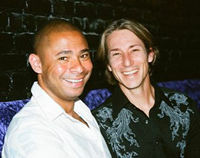 He and Ben Googins met in Brazil in 1998; they moved to Austin in 2006 and started selling their food at the Downtown Farmers' Market. In 2010, they opened the cafe. Siegel, a leiomyosarcoma survivor who lives in Tampa, will be in Austin to represent the Alliance at the annual meeting of the Society of Gynecologic Oncology, as she has done since 2006. She has known Goad since birth, she says. Lisa Mansell of nearby Llano says she welcomes the support she gets from the Alliance's Facebook page. Her 9-month-old granddaughter, Payton, was diagnosed with cancer at 5½ months. It took three weeks and three different institutions before doctors came back with the diagnosis: undifferentiated pleomorphic sarcoma, Mansell says. Payton has been getting three different chemo drugs and is scheduled for a second surgery today. “I want to make sure I do everything possible for that baby,” Mansell says. Dennis Hughes, M.D., Ph.D., an associate professor of pediatrics at the M.D. Anderson Cancer Center in Houston, says he and his colleagues would welcome little Payton if her family ever wants a second opinion. Afterward, she could return to her doctors in Austin for continued care. "Sarcoma is a rare and complicated collection of more than 50 diseases," says Dr. Hughes, who has been named one of America's top pediatricians. "It's difficult for a doctor outside a sarcoma center to stay well-versed on all of them." The Alliance helps reimburse people who seek second opinions from multidisciplinary sarcoma centers. The nonprofit's forerunner was the Sarcoma Foundation, which Wendy Sommers began in the mid- to late 1990s, Plottner says. She met Suzanne Leider in their doctor’s office, and they worked together to help others. Leider founded the Alliance in 1999 in Mill Valley, Calif., after Sommers died of osteosarcoma. Leider died in 2002 of synovial sarcoma. She noted that the Alliance sells T-shirts, ribbons and other merchandise, such as the new cards, to raise money to help patients. Other sarcoma nonprofits sell merchandise for research. Sarcoma is a cancer of connective tissue, including muscle, bone, fat, nerves, cartilage and blood vessels. It can occur anywhere in the body at any age. The Sarcoma Alliance offers a peer-to-peer network, live chat room, YouTube channel, blog and discussion board so that people can support one another and share information. For more information, visit http://www.sarcomaalliance.org. 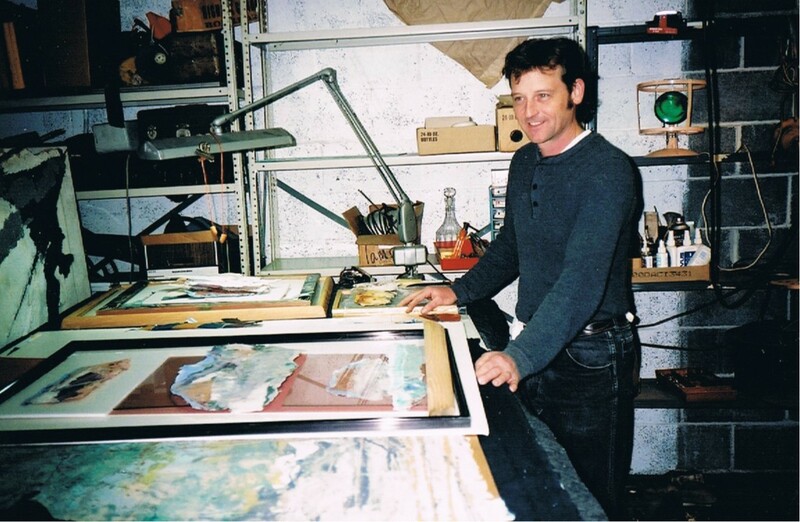 Austin artist Mark Goad works in his studio. Elias Martins and Ben Googins own Rio's Brazilian Cafe in Austin The logo of the Sarcoma Alliance Dennis Hughes, M.D., Ph.D., is an associate professor of pediatrics at M.D. Anderson Cancer Center. Austin artist Mark Goad has made cards from his artwork to benefit the Sarcoma Alliance. Payton Rayne Martinez, diagnosed with sarcoma at 5½ months.